Even though this is not Vegas, this was still a fun time. Outside the parks of Disney, and Universal, in Orlando there is an upside down building which houses WonderWorks. WonderWorks has the Outta Control Comedy Magic Show that seems to run twice daily starting at 6pm. We hadn't heard many things about this show, but really didn't want to do a typical Disney type of vacation before school started. The VisitOrlando website had this listed so we decided to give it a try, and I am quite happy we did. Not so much for the pizza, but the performance, but we will address all that below. Tony Brent who performs this show was absolutely hysterical, and entertaining. It was worth the price of entry (even though we got our tickets comped). Even though I do not want to focus on the entertainment, and rather the pizza, it should be noted that this is a great way to spend an hour or so with the family. It is interactive, funny, and full of corky magic tricks. Normally, if you go to one of these "all you can eat and drink" dinner shows, they serve you what could be misconstrued as borderline crap. Even the sodas taste like a cheap form of what they should taste like. When it comes to pizza, it is almost grade D, but edible. This was not the case at the Outta Control Comedy Magic Show at WonderWorks in Orlando. I am not professing that the pizza was extraordinary, but what they served beat my personal expectations. From the moment we sat down at our long picnic row style seating, the waitress was attentive to our needs, and she continued to do so throughout the entire experience. My cup wasn't empty for more than a minute at most. The pizza was served soon after getting our soda (beer and wine is also unlimited). The pies were half plain and half pepperoni. I noticed that between the people around me (everyone is seated next to each other at the tables, family next to family) that nobody was trying the pepperoni. I asked the waitress if she could just bring plain, and she smiled and said yes. Within a few minutes we had our plain pie. Now look, this pizza wasn't exceptional, and it isn't like you would go back there just to get the pizza. But this pizza in my opinion was better than Domino's, and people order that every day. The crust was a bit doughy on one of the pies, and nicely cooked on another, so I guess it is hard to keep consistency when you are serving literally hundreds of pies within an hour. The Outta Control Comedy Magic Show at WonderWorks in Orlando couldn't have been more generous with the amount of pizza they served. They spared no expense, and didn't way to see if everyone ate every slice. They just kept putting new pies out, and I commend them for this. The cheese, wasn't of the highest quality, but comparable to Pizza Hut style. The sauce was applied minimally, but it didn't taste half bad. Had a mildly sweet taste, and wasn't overbearing. 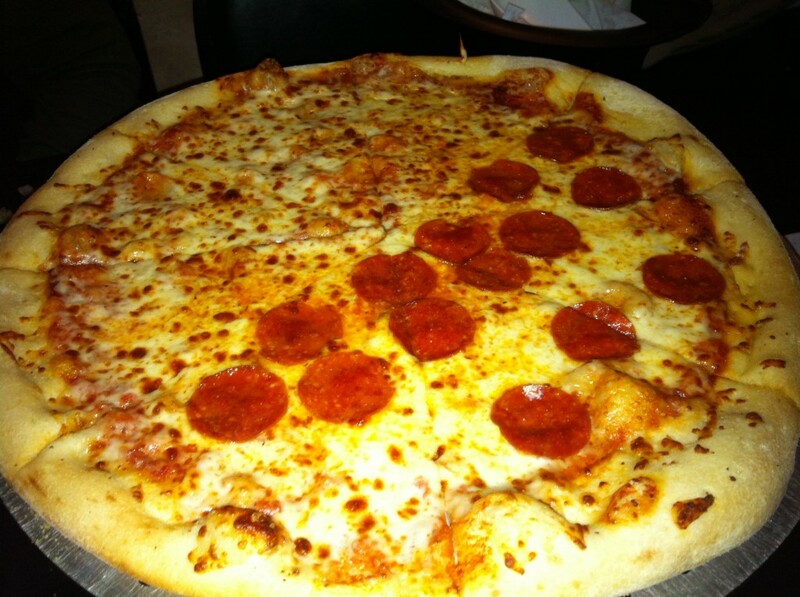 If I was going into WonderWorks and I was hungry, I would order this pizza again at the snack bar. The Outta Control Comedy Magic Show at WonderWorks is not something I would rush back to see a second time, unless they change the show, but it is something I would definitely recommend to others who want something fun to do outside the parks in Orlando.